When Luke Ray stepped off the plane, it was hot, muggy and green. He didn’t know this was the start of a journey that would cast what he does for a living in a whole new light. Stepping onto the tarmac at Uganda’s Entebbe Airport in 2009, was this 22-year-old, second-year apprentice plumber in Perth. Finding himself on the other side of the planet was something he wasn’t expecting. The only reason he found himself in Uganda was because his wife was going. She worked at the Esther Foundation, and was part of a group volunteering there in local communities. Ray just tagged along. His path to becoming a plumber was similar. “Basically, my older brother told me it was the greatest thing ever – and I found out that he basically lied to me,” Ray said with a chuckle. He said he didn’t know exactly what to expect when he went to Uganda, but he wasn’t quite expecting the greenery he saw. “My expectation was basically what you see on the World Vision ads. Bloated bellies and dead desert,” he admitted. Despite being blessed with Lake Victoria as its base, Uganda has struggled through decades of war and displacement since Idi Amin’s rule. For all its natural advantages, Uganda is a country still in recovery mode. “There’s a lot of opportunity there and you can see it … their biggest issue is just the government – it’s hard to break through and move forward there,” said Ray. While the group from the Esther Foundation toured local communities and helped where they could, a local minister saw the opportunity to use the volunteer group to complete one of his side projects. “When I say ‘mud house’, I mean you get sticks from surrounding trees, build the frame out of those, get mud and slop it between the sticks. Then you leave a couple of spaces for doors and windows, put a tin roof on it and Bob’s your uncle. You’ve got a house,” explained Ray. The house was for a grandmother of eight, whose own children had passed away. Neither she nor her eight grandchildren had any kind of shelter to call their own. The team managed to get the house completed over a weekend. Her sheer joy when told she would have a place to live was transformative for Ray. “She felt that she had security for her grandchildren. She was getting older, she wasn’t sure how long she was going to live, so having a house gave her peace of mind,” explained Ray. “She was singing, dancing, crying – but then it dawned on me, standing back, that it was literally a rickety mud house with a tin roof. It’s got no flooring, it’s got no lighting … I didn’t know where they were going to sleep. Luckily, there was a plan to do just that. On that trip he met Pastor David L. Zijjan, who planned to turn some vacant land into housing, a poultry farm and sustainable community in Jinja. The plan was to house children who would otherwise spend their lives in orphanages by placing them into family units – designed to be more family homes than institutions. The houses would be far more than mud huts – they would have bricks, flooring. Crucially, where Ray was concerned, they would have indoor plumbing. “I thought ‘I’m in a trade, I’m in the building industry, how hard would it be to do more of this work and do it better?’” explained Ray. Coming from what he called a “dysfunctional family of 10”, Ray knew the importance of kids being in a family setting. Back in Perth, he hatched a plan to help Pastor Zijjan’s dream turn into a reality. After convincing Pastor Zijjan via email that he was not just another well-intended tourist with a White Knight complex, Ray thought about forming the Fair Tradie Project. 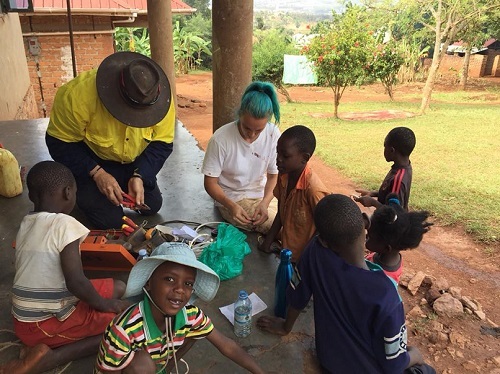 The project takes small teams of tradies to Uganda each year for two weeks at a time to work on the houses at Jinja — although it does work in other areas as well. He says convincing tradies to volunteer their time and skills to go to Uganda can be tough, but those who do volunteer do so because they’re looking for an opportunity to do something with their lives with substance. “I think a lot of people think ‘Well, what can I do? I’m in Australia’, but tradies have some real skills that could help directly,” said Ray. Since the first cohort went over in 2010, six houses are done. It means Ray can see children who moved into a home he helped build grow up and go onto university. “These kids are going to be amazing change agents for their country,” said Ray. “They can only do that because they’ve had a stable footing, a home to go back to. Being in the family environment instead of the institutional environment means that they have a whole community cheering them on. 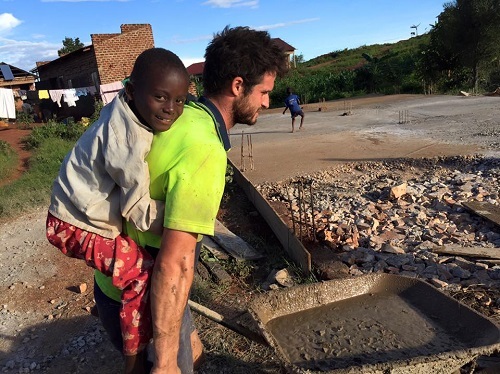 A lot of tradies feel satisfied when driving past jobs they’ve been involved with, but each trip to Uganda is an opportunity for Ray and returning tradies to reflect on the progress made. He can say with certainty the experience has made him a better tradie. Tradies in Perth are doing it tough at the moment. With the mining construction boom now over, tradies who found work on the mines have come home to Perth – and have the cash in their pocket to start up their own ventures. For tradies who struck out on their own before the boom, such as Ray, it means the market has been flooded and it’s now tough to find stable work. “To be honest, anyone who got into the trade industry at the time I did were, unfortunately, suckers,” said Ray. He says the perspective of regularly visiting Uganda where displacement is still rife and poverty still an issue puts his daily struggles into perspective – and it made him grateful that he was in a position to help. 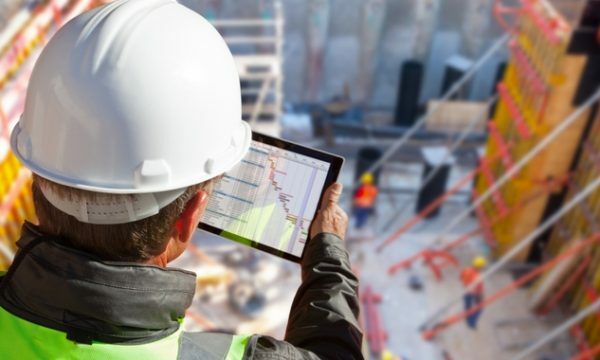 “When you’re doing work on bathrooms and elbow-deep in toilets, it can be hard to connect the dots on how this all helps anything, beyond solving a problem for the person who hired you,” said Ray. He says aside from giving him a more philosophical outlook on his own work, the experience has given him better professional skills. 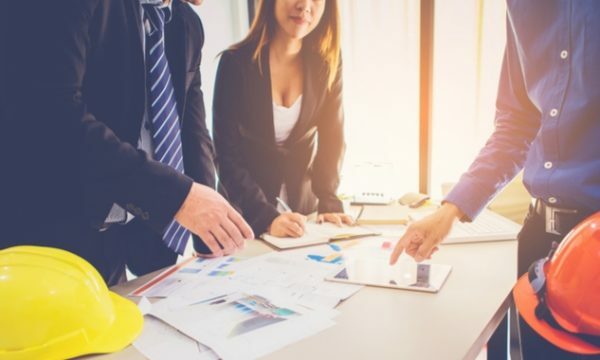 Because the project team can only use what they source in the country and the few tools they can take with them on the plane, it means they have to think laterally to solve problems. “When I’m onsite [in Perth] and I don’t have the tool I need, it’s taught me to think outside the box on how to solve the problem,” said Ray. But the help he’s offered has given him perspective on how tradies can literally make the change they want to see. “If you’re a tradie, you have an amazing skillset that you can do a lot of stuff with to help people,” said Ray. In 2009, Ray was a reluctant plumber and only went to Uganda to support his wife. In 2018, after nearly a decade’s works in Uganda, he’s changed his tune. “I honestly feel so grateful where I’m in a position to do something, and honestly, I’m not all that special,” said Ray. 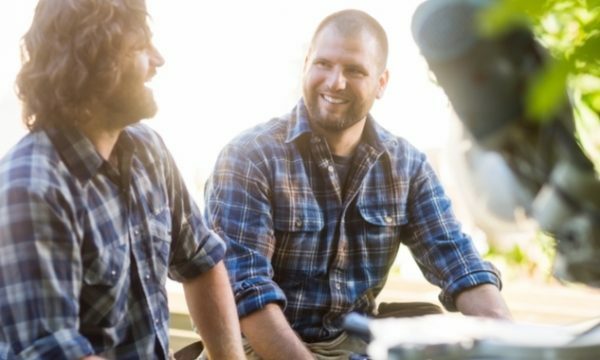 If you want to find out more about the Fair Tradie Project or find out more about how you can become involved, you can head here.